Whether we are traveling, trying to keep the kids entertained, hard at work in the office or hard at work on our tans....one thing is for sure: San Francisco provides a beautiful summer backdrop for all we do. Here's a view from our office roof top! 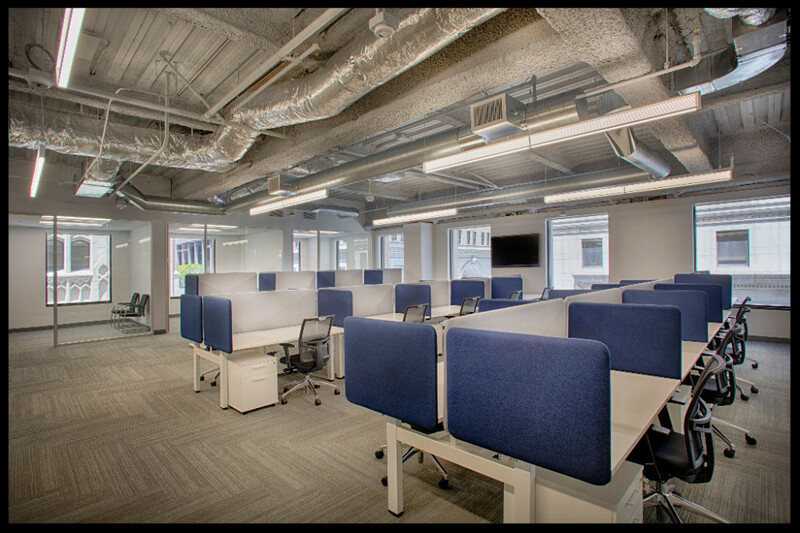 officemorph is proud to have partnered with Lighthouse, a national eDiscovery firm, to build out their newest office space in San Francisco. officemorph acted as the client's representative in this turn-key project and managed all additional scopes including IT, AV, security, logos, graphics, furniture and the move itself. Special aspects included a glazing wall to create a larger break room as well as a build out of the client's IT intensive forensics lab. Several months ago, officemorph began orchestrating the tenant improvement planning for 26,500 square feet for Positive Resource Center (PRC), an incredible organization that helps people “affected by HIV/AIDS, substance use, or mental health issues realize their best selves by providing the support and services they need to reclaim their lives.” This project has been special as the entire project team has generously committed to donating portions of their fees and services for this great cause. Our own Adam Felson was interviewed by The Registry SF for some key tips on preventing your next office build-out from becoming a Money Pit! In her free time, Carolyn enjoys exploring the beautiful outdoors, dancing, drinking tea, and working on creative projects. Ever tried an Escape Room? We did! We had to "launch our start-up" and crack all the codes in an hour. Super challenging, super FUN. Smell the Pumpkin-Spiced Latte in the Air?